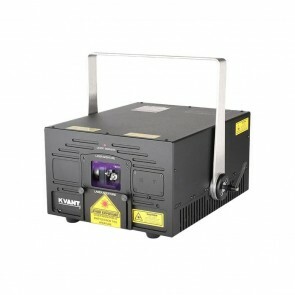 We offer a wide range of laser show equipment including high quality Kvant Lasers in varying ranges of brightness for all types of productions and locations, such as theme parks, night clubs, bars... We also offer other types of lasers for professional DJs looking to add a spectacular effect laser that can be set up quickly to do aerial beam effects or laser patterns. 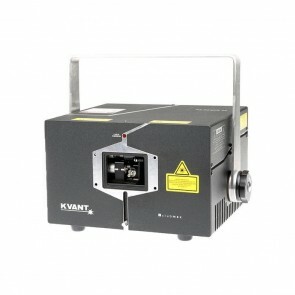 The Kvant lasers are controlled by one of the Pangolin laser controllers we offer. There is even a replaceable flash card for permanent installations where customers want the laser to do the same thing for extended periods of time. 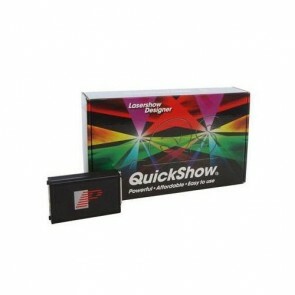 The DJ lasers from American DJ and Chauvet operate either on random, sound activated, or by DMX. Please don't hesitate to contact us so we can assist you in selecting the right laser and control for your application.